With our pottery, our paint and your imagination, you're sure to have a masterpiece! Available for birthdays, group outings, ladies or family night, and other special events. 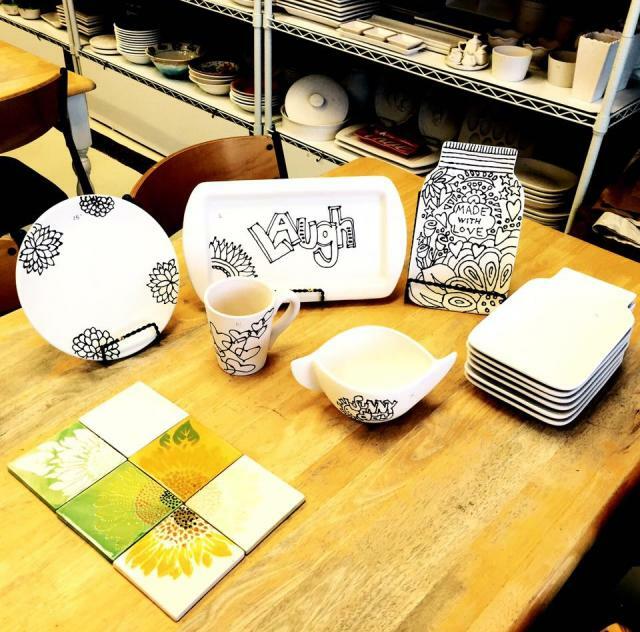 Our Paint-Your-Own-Pottery, Fused Glass and Canvas Art Studio is for EVERYONE! No appointment is necessary and venue is available for parties.